A shadowy organization recreated the Weapon X program using damaged DNA taken from the mutant now known as Wolverine the result was X-23. As a child, X-23 trained in the arts of war, strategy, human anatomy, weapons, combat and stealth, molding her into a killing machine. The fan-favorite series continues. 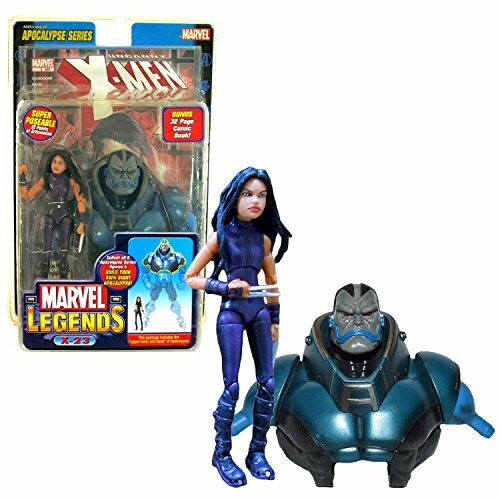 In this assortment, each figure will come with a piece of the arch villain Apocalypse! Build your own giant 14'/36cm apocalypse! Collect them all RARE hard to find. 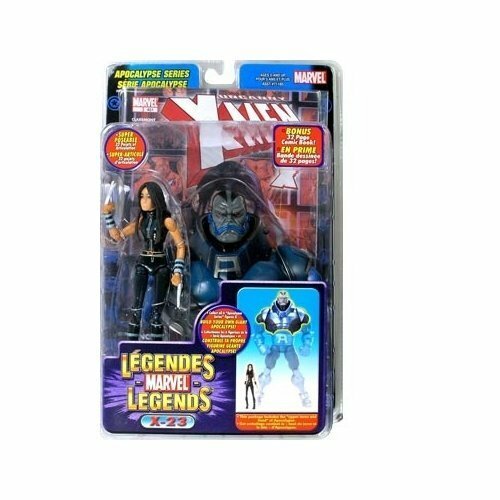 MARVEL LEGENDS X-23 VARIANT APOCALYPSE SERIES TOYBIZ Action Figure MIB!